STRIDE P.A.C. is an organization comprised of parents, staff and friends of STRIDE Academy. The Panther Activities club will provide additional support to all extra-curricular activity programs through volunteerism and financial support. P.A.C. will help purchase supplies, equipment, provide scholarships, help with team events, and recognize student’s participation beyond what activity fees provide. Being a part of P.A.C. and volunteering at STRIDE events are a great way to support students as well as raise school spirit and participation. We want every child to be able to participate in activities regardless of financial situations. We support our students in becoming well rounded leaders by providing them with the positive experiences extracurricular activities provide. Children are our future, let’s show our support! 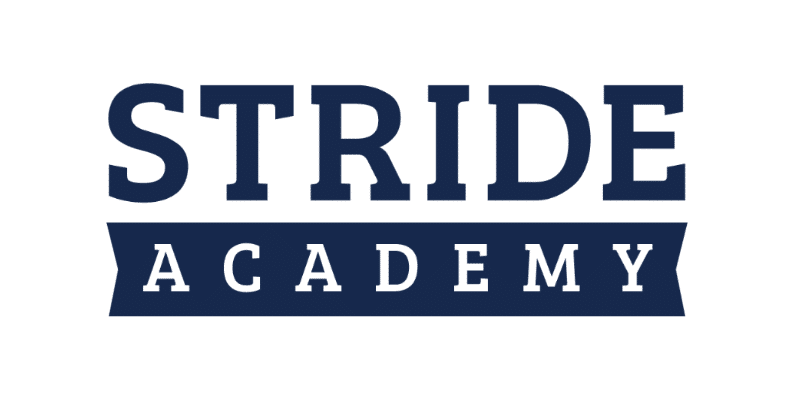 P.A.C meets at STRIDE Academy in room 118, three times each year. The next P.A.C. meeting is February 6, 2019 @ 6:30 in room 118. Soccer (4-6) – Participants learn fundamental soccer skills that they will be able to demonstrate in a competitive situation against other schools and teams. Participants develop sportsmanship, discipline, confidence, cooperation and positivity in a team setting. Volleyball (4-6) – Participants learn fundamental volleyball skills that they will be able to demonstrate in a competitive situation against other schools and teams. Participants develop sportsmanship, discipline, confidence, cooperation and positivity in a team setting. Super Sports Saturdays (Soccer, Flag Football, Volleyball: K-6) – Fall Sports Sampler for all students in K-6; the participants will be able to learn Volleyball Skills, Soccer Skills and Football Skills in a fun environment. Basketball (4-6) – Participants learn fundamental basketball skills that they will be able to demonstrate in a competitive situation against other schools and teams. Participants develop sportsmanship, discipline, confidence, cooperation and positivity in a team setting. Super Sports Saturdays (Basketball: K-3) – Participants will be able to learn basketball skills in a fun environment. Baseball (4-6) – Participants learn fundamental baseball skills that they will be able to demonstrate in a competitive situation against other schools and teams. Participants develop sportsmanship, discipline, confidence, cooperation and positivity in a team setting. Softball (4-6) – Participants learn fundamental softball skills that they will be able to demonstrate in a competitive situation against other schools and teams. Participants develop sportsmanship, discipline, confidence, cooperation and positivity in a team setting. Super Sports Saturdays (Tee-Ball, Softball, Baseball: K-3) – Participants will be able to learn baseball/softball skills in a fun environment. Knowledge Bowl (October-December: 5-6) – Knowledge Bowl is an interdisciplinary academic competition involving teams of four to six students trying to answer questions in a written round and several oral rounds. No team is eliminated in this event, and every team participates in every round. Knowledge Bowl is usually a power competition in which team groupings are rearranged after each round on the basis of their total points accumulated. The written round is a multiple-choice exam taken by each team as a whole. Results of this round are used for seeding teams in the oral rounds. In the oral rounds, there are three teams per room. A reader presents the questions, and a team member may buzz in as soon as he or she chooses. If they miss a question, nothing is deducted, but the other teams then may try to answer the question based on who buzzed in first. The winner is the team with the greatest number of points at the end of the meet. Panther Choir (September-June: 3-6) – The Panther Chorus is an extra-curricular, auditioned chamber ensemble consisting of singers from the 3rd-6th grade choirs, bands and general music classes. Panther Chorus members will continue their vocal and musical development, showcase 3-4 local performances this year, learn basic conducting and choral leadership techniques, and perform higher-level repertoire with artistry at or above high school grade-level. Chess Club (Winter K-6) – The STRIDE Academy Chess Club is an extra-curricular activity for K-6th grade students who express an interest in the game of Chess. The focus of the Chess Club is to get students thinking about strategies. Meetings will include learning how to play, improving their playing skills and having the opportunity to participate in a Chess Tournament at the STRIDE Campus in April if they choose to sign up. Chess Tournament (Winter K-6) – The STRIDE Academy Chess Tournament is a series of chess games played competitively to determine a winning individual from all grade levels. The tournament is not STRIDE exclusive many students from all around Central Minnesota come to compete and enjoy the day. Drama (Winter K-6) – Drama club will invite any student who wishes to learn about and or practice the art of theatre. It will consist of the history of theatre, learning new techniques, singing, learning to articulate, gain confidence in presenting yourself before others, develop new skills, practice and improve on current abilities. Drama will be teaming with Great Theater to enhance the experience. Math Masters (Winter 5-6) – Math Masters challenges students to use critical thinking skills and problem-solving abilities in mathematics, while recognizing academic effort and achievement. Math Club (Winter K-5) – Crazy 8s is a math club designed to get kids fired up about math. Every week they will build stuff, move, make music, and even make a mess along with building friendship. It’s about math becoming a cool thing with hands-on activities. Rocket Club (Spring K-6) – The STRIDE Elementary Rocket Club is an extra-curricular activity for K-6th grade students who express an interest in science and rockets. The focus of the Rocket Club is to get students thinking, talking, and using science through the building and launching of a model rocket. Lego Club (Winter K-6) – Bricks 4 Kidz® is devoted to providing an extraordinary atmosphere for children, where they learn, they build, and they play with LEGO® Bricks. Lego Club is designed to teach the fundamentals of S.T.E.M. (science, technology, engineering and mathematics) education, built around Legos and building. Spelling Bee (Winter 4-6) – Every year, students from all walks of life have the opportunity to participate in the Scripps National Spelling Bee, one of the nation’s oldest and most iconic competitions. They progress from classroom to cafeteria, from auditorium to civic center, delighting friends, family, sponsors and fans, just as millions of other students have done before them. Geography Bee (Winter 4-6) – The National Geographic Geo Bee is an annual competition designed to inspire and reward students’ curiosity about the world. Students in grades four through eight (4-8) from nearly 10,000 schools across the United States will compete in the National Geographic Geo Bee for a chance to win college scholarships and the glory of being the National Geographic Geo Bee Champion. Art Club (Winter/Spring K-6) – The STRIDE Art Club is an extra-curricular activity for K-6 grade students who express an interest in the visual arts. The focus of the Art Club is getting students more out of school opportunities to experiment with different art materials. Meetings will include learning how to work as a team, improving their art skills and creating several art projects to take home. Student Government (2-6) – The student council helps share students’ ideas, interests, and concerns with teachers and school administration. They often also help raise funds for school-wide activities, including social events, community projects, helping people in need and school reform. Students will also read the morning announcements to the school as a whole. Gamer Club (Winter/Spring 3-6) – The STRIDE Gamer Club is an extracurricular activity for 3rd-6th grade students who express an interest in the games of all kinds from classic board games to video games. The focus of the Games Club is getting students more out of school opportunities to engage the imagination and develop critical thinking skills. Yearbook Club (6) – The STRIDE Yearbook Club is for those students Interested in helping out with the creation of the STRIDE Academy yearbook. 6th graders help with the picture taking at events, deciding which pictures will go in the yearbook and helping pick the winner of the yearbook cover design. Dance (Winter K-6) – The STRIDE Elementary Dance Club is an extracurricular activity for K-6th grade students who express an interest in dance and gymnastics. The focus of the Dance Club is to get students moving using dance.